Meet HERB, Carnegie Mellon's sophisticated butler robot. 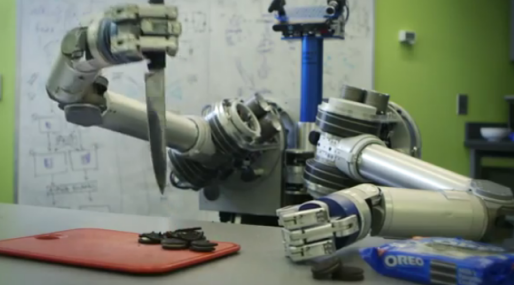 He was built to help mankind by performing household tasks, so of course when Oreo put the call out for machines to separate cookie from creme, the roboticists at Carnegie Mellon reprogrammed HERB for the job. They also -- for reasons -- programmed HERB to prefer the creme to the cookie, even though he's a robot and can't actually consume either. Watch HERB take some Oreos to task in the latest Oreo Separator video.